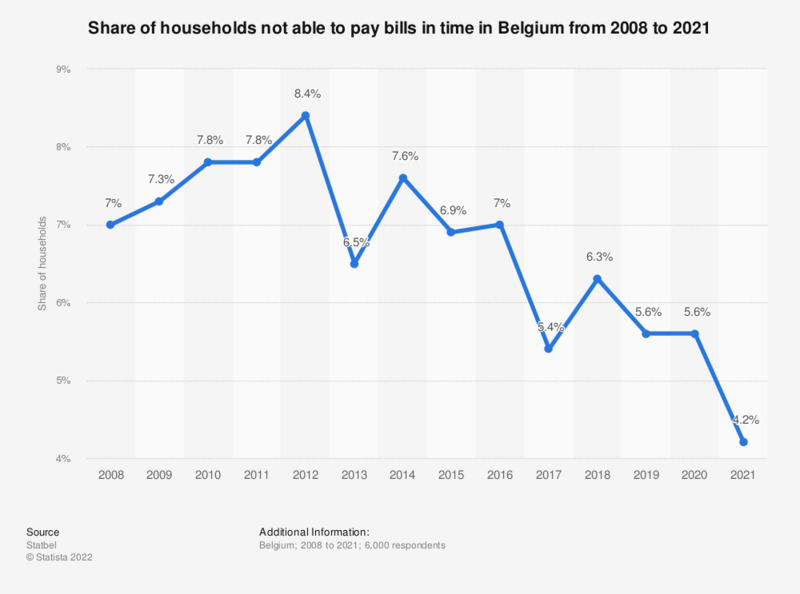 This statistic displays the share of households not able to pay bills in time in Belgium from 2008 to 2018. In 2018, 6.3 percent of the households was not able to do their payments in time. For the figures on material deprivation the EU-SILC (European Union - Statistics on Income and Living Conditions) survey is used. The participants are private households and the survey is taken every year and published 20 months after the interviews. Everything On "Key economic indicators in Belgium" in One Document: Edited and Divided into Handy Chapters. Including Detailed References. Statistics on "Key economic indicators in Belgium"
How would you judge the current situation of the Belgian economy? How would you judge the employment situation in Belgium in 2017?